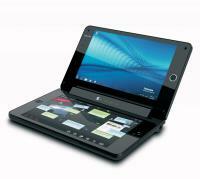 Gigabyte M704 M704 specifications, info. (Model: M704) Specifications, images and news. Great value and very usable UMPC from Gigabyte. 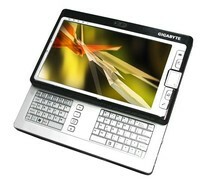 Great screen, reasonable keyboard for thumbing and acceptable battery life. 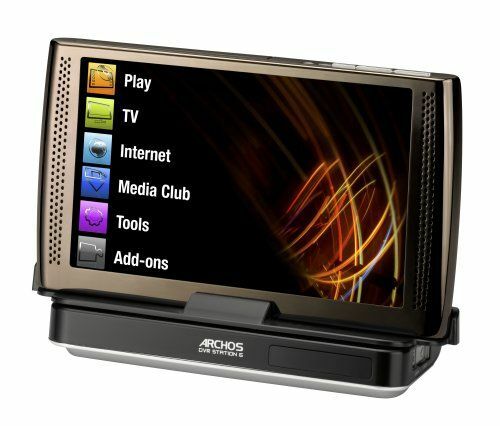 Makes a good, cheaper alternative to the Samsung Q1 Ultra and HTC Shift. Recommended. 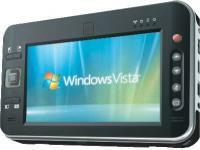 Also available with XP-pro and expected to be available with Vista. Camera is 1.3MP. Also available under the Ahtec (Southern Europe) and Rover (Russia) brands. Gigabyte M704 news and review links.